These 125mm diameter PYREX® watch glasses are designed to fit 1L PYREX® beakers. They possess high chemical durability, thus preventing contamination of solutions. They are molded to the same radius of curvature for convenient stacking. The heavy wall and uniform fire-polished edge provide mechanical strength. The outside diameter cannot be controlled within close limits and a slight degree of out-of-round can be expected to occur. 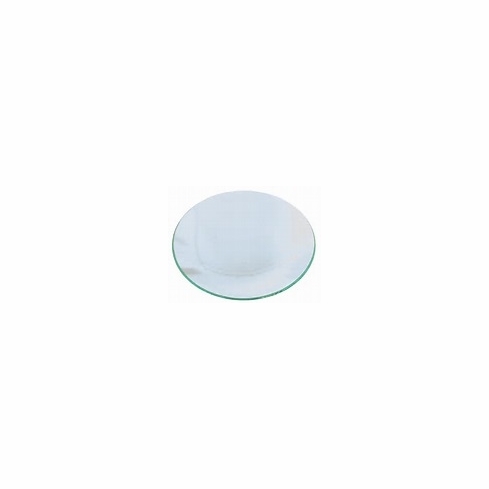 Material: Borosilicate Glass Code 7740. Top Style: Heavy Duty Rim. Fits Griffin Beaker Size: 250mL. Diameter: 125mm (Approx). Reusable. 12/Pack; 72/Case. Corning #: 9985-125.